With a new season comes the introduction of a new colour palette to brighten up your wardrobes, with this season being no different. The darker mornings and colder climate is a gentle reminder that Autumn has officially begun. So, it’s time to put away those summer floral patterns and colours, instead opting for some warm muted tones. 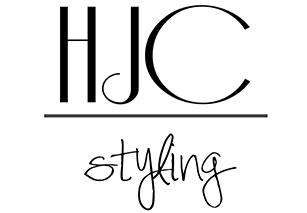 HJC Styling has chosen some of the highstreets top pieces to help to take you through the season. All of which demonstrate some of Autumns’ most wanted colours. Perhaps, taking influence from the impending colour change of our gorgeous trees, mustard is a go-to colour for Autumn. There are a range mustard tones to be found this season with some featuring tone or gold, yellow or even green; so, there is really something for every skin tone. There are no excuses to dismiss this sumptuous colour! This jumpsuit from River Island is one of our favourites; team it with a pair of heels and a clutch bag for a night out or why not opt for a casual look with a pair of ankle boots and a thin knit to keep you looking warm and stylish. Think luxurious emerald green, deep turquoise green and forest green. These are more warmer tones and compliment the other Autumn favourites fantastically. 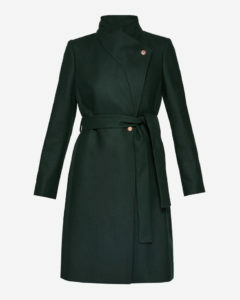 Ted Baker make beautiful winter coats and this green one is no different, the cut and length really lend itself well to a formal work coat or something you adorn to those more formal winter events. This is a great transitional colour which will take you into Autumn, opt for a bright electric blue to add some interest to an otherwise neutral outfit. 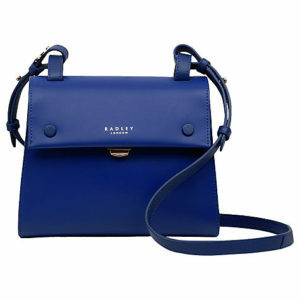 This Radley bag is a great colour as well as having a sleek modern style. Why not go the extra mile and look for some matching shoes to finish your look off! We promise, grey doesn’t have to be dull! Especially when it is teamed with some fun details. It wouldn’t be winter without some faux fur trimmings and these shoes from Topshop certainly don’t disappoint. Team them with a leather midi skirt and a sparkly knit to create a wearable everyday outfit or spruce them up for an evening with your favourite little black dress.